Consolidation Equipment (Settlement Of Soil). 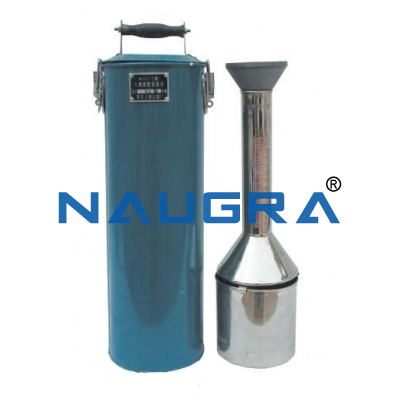 The triplex consolidation apparatus is used for doing compression tests of the soil. It is used to determine the relation between the distortion and the pressure or between the porosity ratio and the pressure and the relation between the distortion and the time to calculate the unit settling amount, the compression coefficient, the compression index, the rebound index, the consolidation coefficient of the compression modulus and so on. The testing items should be done according to the project requirements. 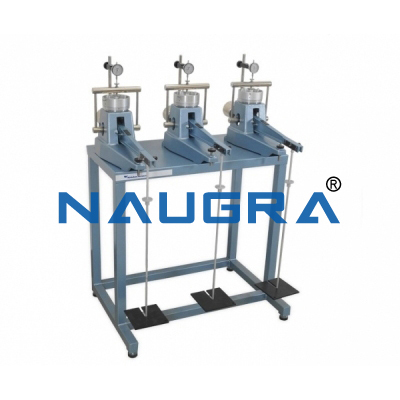 Used for compression test of soil, to determine the relationship between deformation and compression of the soil, to calculate the unit settlement, compression index, resilient index as well as consolidation coefficient of the soil and etc. Other Related Teaching Lab Products, Scientific Instruments and Educational Equipments like Consolidation Equipment (Settlement Of Soil). . .